0 Comments Published by KL Ocs Kid on Monday, June 28, 2010 at 12:28 AM. 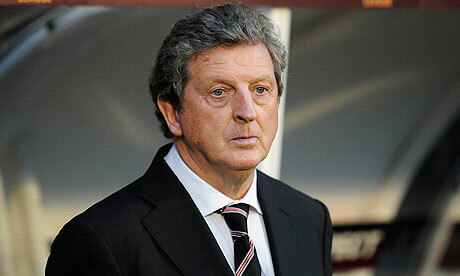 Liverpool expect to finalise the appointment of Roy Hodgson as the club's new manager following his return from South Africa today. The Fulham manager, who has been commenting at the World Cup for the BBC, has been the frontrunner for the Liverpool job since Rafael Benítez left Anfield this month and could be confirmed as the Spaniard's successor within days. Liverpool have considered several candidates for the position, including the former Real Madrid and Villarreal coach Manuel Pellegrini, but Kenny Dalglish, the club legend asked to conduct the managerial search alongside the managing director, Christian Purslow, is not in the running. Anfield officials are confident of securing a deal with Hodgson now that he has returned from South Africa and with his prospects of being offered the chance to succeed Fabio Capello as England manager diminished by the national team's World Cup victory over Slovenia. It is understood the make-up of Hodgson's backroom staff is one of the issues to be resolved prior to his appointment, with the 62-year-old keen to bring the Fulham assistant manager, Mike Kelly, with him to Merseyside. While Liverpool await the arrival of their next manager, Yossi Benayoun is close to leaving Anfield for Chelsea after the two clubs agreed a £5m fee for the Israel international.